Celebrate Detroit’s African American History at our annual family friendly event. 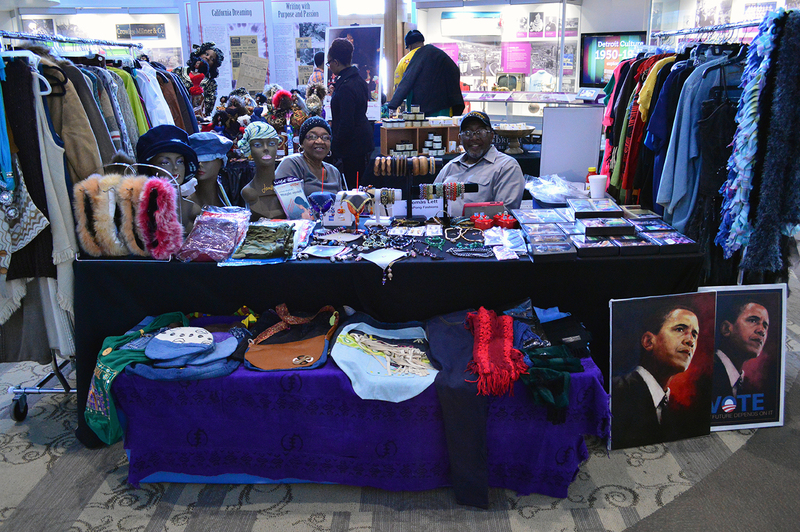 Find a variety of gifts as you browse our Vendor and Artist Market throughout the museum. 11:30 a.m. - 12 p.m. & 12:30 - 1 p.m. Want a good workout while learning traditional West African Dance? Join us for dances from Mali, Senegal and Sierre Leone, to name a few. Makidah Shani has studied dance for 25+ years and currently teaches at Midtown Fitness Works in Detroit and Parks and Recreation in Southfield. 2 p.m. Drop in for a discussion about youth sports in the city, with organizations including Detroit City Lacrosse and Midnight Golf.